Hubby is working nights this week, so when the twins get to bed, the real mom work gets done. In between the cleaning and laundry and paying bills and doing all that good stuff, I can usually eke out a card:) Tonight, my goal was to try the tissue overlay technique demonstrated by Betsy Veldman at Papertrey Ink for Make It Monday #18. 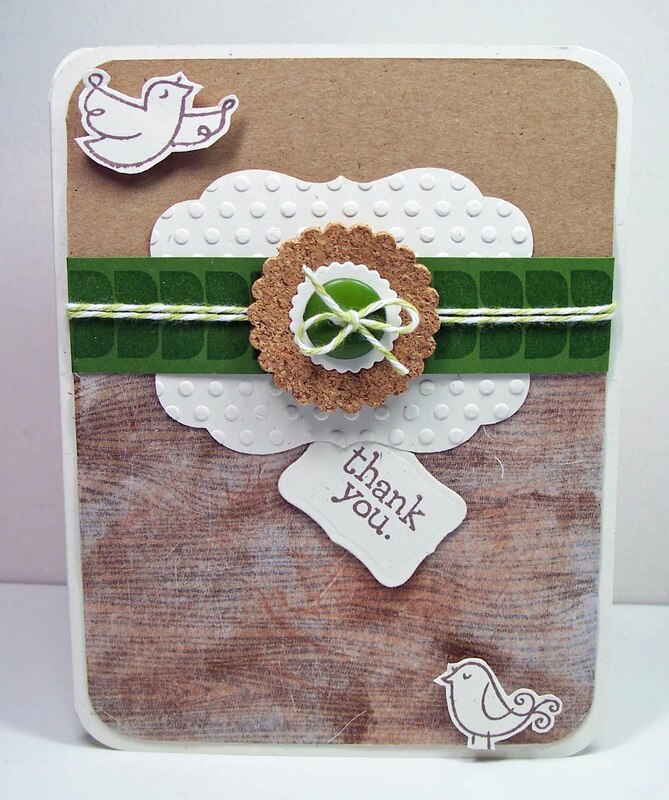 I stamped the bottom of my kraft base with woodgrain in a rich brown and added the white tissue paper over it (just over the woodgrain part). I didn't have any lovely vintagey tissue paper like Betsy, so to give it a more natural look, I added walnut ink to my Elmers glue. The tissue paper gave the woodgrain a funky look and texture (which I'm digging), but the effect was not what I expected at all! I had a lot of brown going on, so I lightened and colored it up with some rustic cream and ripe avocado elements. 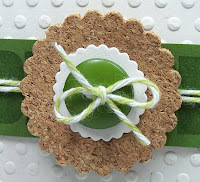 Favorite element = cork flower!! Now it's off to bed for mama! Have a good night and thanks for looking! 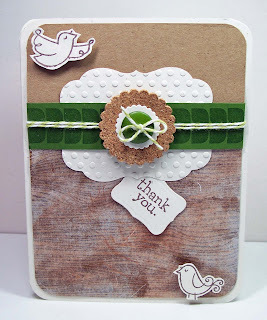 Loving the cork die cut along with the dotted swiss too!!! Great job. 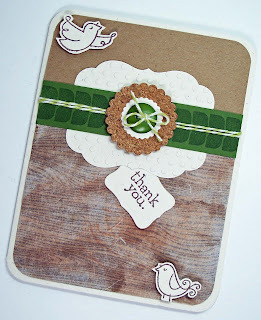 Love this earthy card!!! Great technique, too. TFS :). 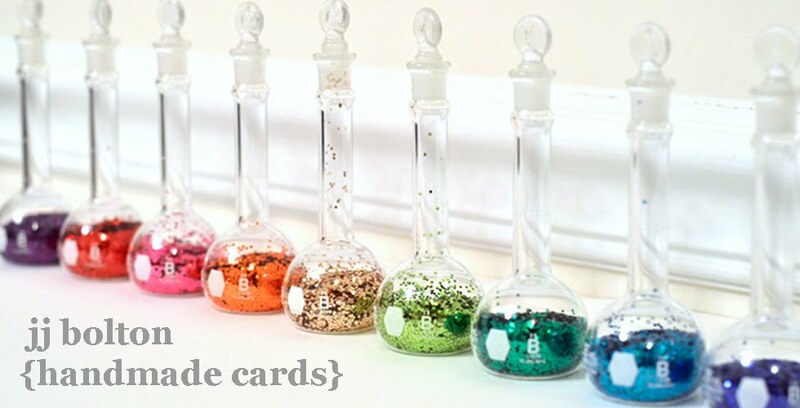 BTW, your home life sounds like mine - hubby working nights and all that fun stuff!